Today is that famous day, Oct 21st, 2015. 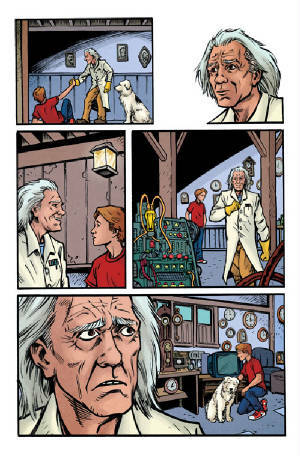 It is also the day that the first issue of the Back To he Future comic from IDW Publishing is released, and I am proud to say I inked the first story in the book, with pencils by my friend Brent Schoonover. Ride your hoverboard to your local comic book shop and pick up a copy today! /\ If you missed picking up my latest collaborative art print with Rachel Wacker during last weekend's Art Crawl, you can purchase the print online right HERE in my shop. On Wednesday Oct 21st, I will be at Zipp's Liquor in MPLS doing FREE zombiefied portraits for anyone willing to sit for 10 minutes. Tallgrass Brewing Co is sponsoring the event and will be pouring samples of their beer. Stop by and get a free original drawing by ME of YOU. Also on Oct 21st, The Back To The Future comic book, published by IDW Publishing, I worked on with my friend Brent Schoonover hits the stores. Visit your local comic book shop and pick up a copy or 5. 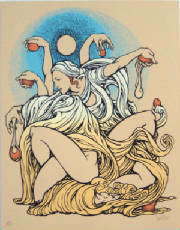 I've got a brand new collaborative print with my friend Rachel Wacker debuting during the Crawl. "Season's End" was penciled by Rachel, then inked, color separated, and printed by me. The print costs $30, and for every print purchased, your name is entered into a drawing to win either Rachel's original pencils or my original inks. Plus I have HUNDREDS of pages of original comic book pages and gigposter art for only $40 each. It's a very affordable way to own some original artwork by me. 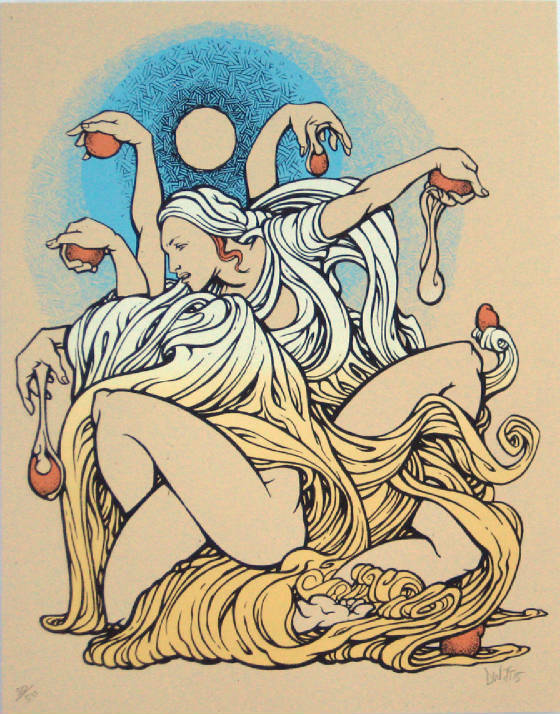 And I will of course have a huge array of screenprints. See you this weekend in Lowertown!